LETTER | Decades ago in Malaysia, it was common to give certain big companies monopolies or heavy advantages in certain industries. Some examples that come to mind are Bernas in the rice industry, Astro in the satellite TV industry, and Proton in the automobile industry. The reasoning at that time was basically that nascent industries in Malaysia needed a certain amount of "protection" in order to get off the ground without being threatened or swallowed by outside competition - sufficient runaway one might say, in contemporary start-up speak. Short-term protectionism and monopolies - while shunned by many classical economists - have in some cases been proven to be effective. One example may be the South Korean automobile industry. The longer "well-intentioned" protectionism or monopoly is kept in place however, the less likely it is achieving its original goals. The obvious downside of monopolies face is the lack of competition. Companies that are granted monopolies often do not have sufficient incentive to be the absolute best in their business that they can be. They do not face the kind of pressure from competitors that would spur business to diligently and consistently sharpen every aspect of their operations in order to survive and thrive. The new government has laudably set its eyes on breaking a few key monopolies, for exactly this reason. One member of parliament estimated last year that breaking Bernas’ monopoly on rice could lower the price of our most staple food by as much as 20-30 percent. What was effectively a monopoly on broadband internet services by Telekom Malaysia also resulted in the expensive yet poor internet connectivity Malaysians know all too well. In 2018, the new government sought to break or weaken this monopoly and pressured internet service providers to reduce prices. We have also seen how monopoly has affected the aviation industry. For a long time, Malaysia had only one airline. For a decent period, it was quite a good airline, especially in terms of customer service and international reputation. It wasn’t long however before the lack of competition and a host of other problems planted the seeds of rot in the business. Fast forward a number of years and decades, and we find ourselves in the present day still struggling to get that same national airline off the heavy grounds of debt and non-profitability. Other airlines that began in Malaysia however - airlines that never enjoyed any type of monopoly or protectionist measures - appear to be massive success stories, thriving not only by national standards but by global ones. The airport industry is, of course, closely tied to the airline industry. 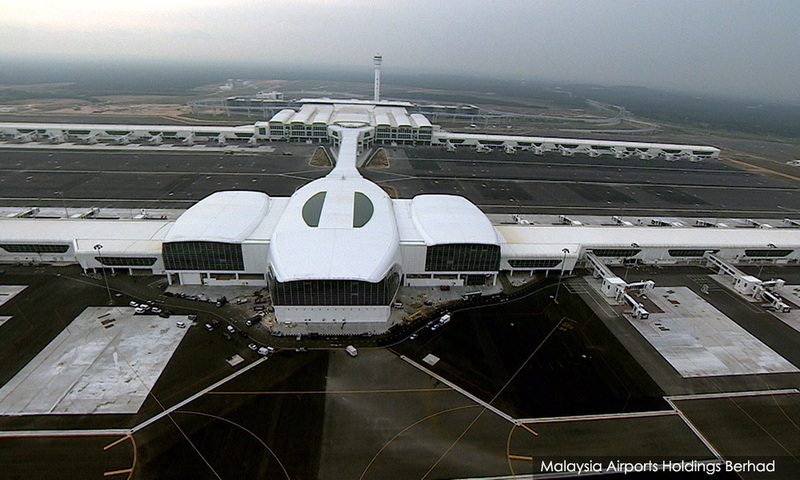 In Malaysia, each and every airport is run by Malaysia Airports Holding Berhad (MAHB), making them in effect a company that has been granted a monopoly. At this stage, we must ask ourselves whether this monopoly has been good for the nation and for air travellers, or whether this monopoly has gone the way of other non-performing Malaysian monopolies. I suppose one easy way to ascertain this is to compare Malaysian airports to those of our neighbours. Where once we could point to our airports as one of the biggest jewels in the crown of Southeast Asian airports, we find that at a faster and faster rate, the quality and perception of our airports is fast dwindling in comparison. Already the airports of Singapore, Bangkok and Jakarta are gaining a reputation for being snazzier, cleaner and more efficient. Like many things Malaysian, our airports look half decent from afar; but when you zoom in and start looking at the little things like the condition of the tiles in the bathrooms or the wifi infrastructure, it’s clear that these airports are not being maintained at their optimum. MAHB has been seen to be hiring brilliant young talent in an effort to rejuvenate their operations. This is, of course, a good step, but it is not likely to solve the core problem affecting their performance - the lack of competition. Perhaps the time has come for Malaysia’s airport industry to be opened up to other players so that business that is more used to operating with a burning zeal for growth can bring their experience and expertise to bear in managing our airports. An airport is a traveller’s very first impression of a nation, and if we want to continue to hold our head high in the community of nations, we will need to put our best foot forward, from the moment a tourist sets foot on Malaysian soil. The writer is research associate at Emir Research, a think-tank.